Workman Publishing Company, 9781523505425, 192pp. Carla Naumburg, PhD, is a writer, speaker, and clinical social worker. 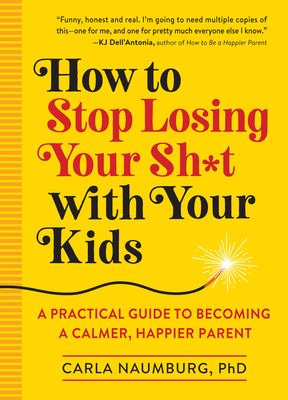 She is the author of Ready, Set, Breathe: Practicing Mindfulness with Your Children for Fewer Meltdowns and a More Peaceful Family (New Harbinger, 2015) and Parenting in the Present Moment: How to Stay Focused on What Really Matters (Parallax, 2014). Her writing has appeared in The New York Times, The Washington Post, The Huffington Post, and Mindful Magazine, among other places. Carla is a sought-after public speaker, and she coaches overwhelmed parents on how to make parenting less stressful and more fun. She lives outside of Boston with her husband and two young daughters.